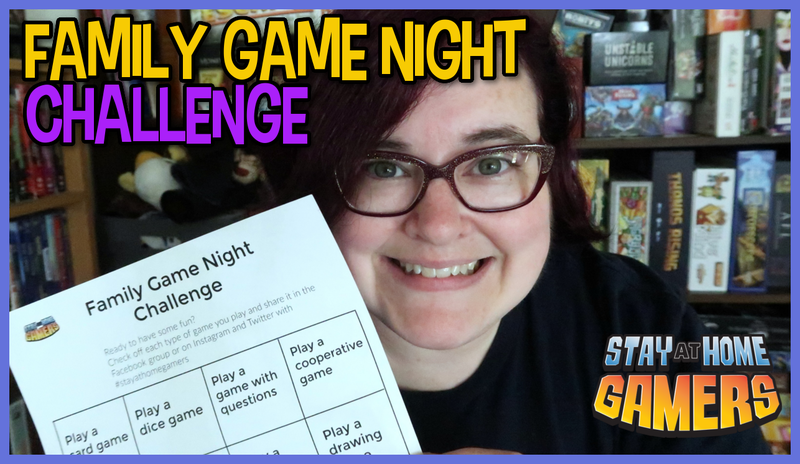 Previous The Stay-At-Home Gamers Family Game Box is Coming Soon! 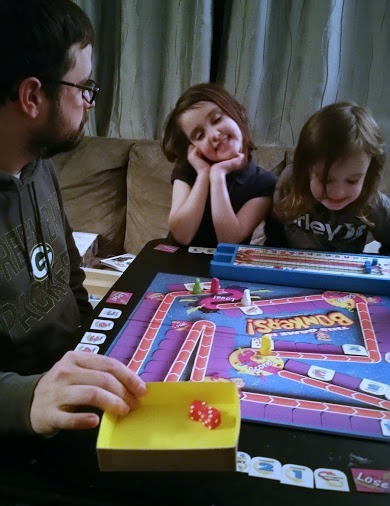 Now that I am a father with children of my own, I wanted to look back on the board games and video games I played as a kid. There are definitely games from my childhood that I want to play with my kids. In the instance that those games no longer exist, I want to at least find games that are similar. 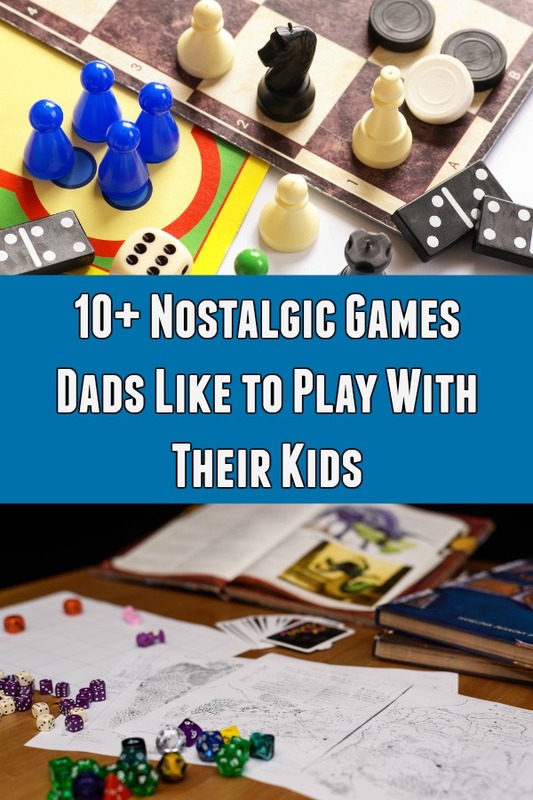 I'm sharing a few nostalgic games from my childhood plus we reached out to several other dads to share some of their favorite games too. There were a few board games that I remember fondly playing with my family as a kid. Obviously, like most families, there are the standard games like Monopoly, Chutes & Ladders, and Candyland. I do remember those, but the non-standard ones really stick out in my mind. One such game took me a bit of digging to remember. That game was called Bonkers! (also know as This Game Is Bonkers!) by Milton Bradley. It's slogan is “It's never the same game twice,” and that is true. In Bonkers, the board starts blank, but as you roll and move, you put down cards on the board. Cards like “Move Ahead 3 Spaces” or “Go Ahead To Score.” Once the board gets full of these, your turn can literally go bonkers. I remember playing this with my cousins and grandmother. We also played a version where you would randomly place all the cards on the board first and then try to play. Once I remembered the name, I ended up finding a copy on eBay as I'm not sure if they make it anymore. My kids really enjoy this one as it's easy to learn and always gets really crazy. Plus, it's easy for them to start learning basic strategy. Another board game I remember from my childhood, though to be honest I don't remember playing it as the rules state, is Rivers, Roads, and Rails by Ravensburger. I just really remember the tiles from the game and using them with my own rules. I found that they still make this game and picked it up on Amazon. 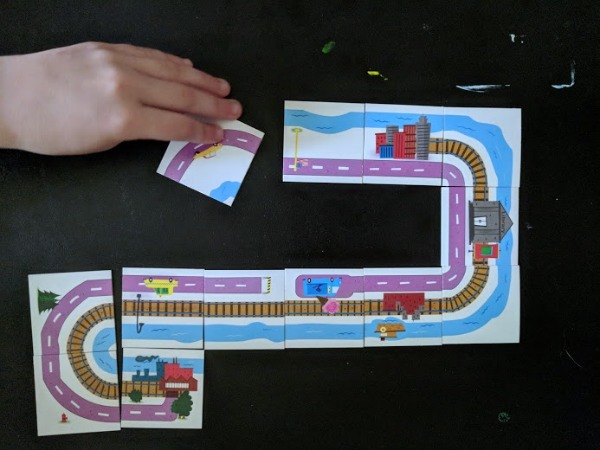 The tiles in this game can consist of a river, a road, and/or a rail. It can be all three, two of them, or just one of them. The point is for each player to take a new tile then play a tile that matches the previous one or you have to skip your turn. The player with the least amount of tiles at the end, wins. My son really likes this game, he asks to play it a lot, but my daughter enjoys it as well. He's pretty good at it, though our only bottleneck is our table is never big enough depending on how big the board gets. Onto video games, though it's sometimes tough to try to get your kids to play something you played as a kid. With today's games and all of the increases in graphics and interactivity, having them play Super Mario Bros. 2 isn't going to cut it. Plus, where would I get an NES at this hour? A few months ago, we found all of the pieces to our old Nintendo Wii and I was able to bring them some of the joy I had by dusting off Mario Kart: Double Dash. Then a bit after that, we decided to finally pick up a Nintendo Switch and also got Mario Kart 8 Deluxe and we've been having a ton of fun with that as a family. Nintendo does know how to make solid games that still have that feel of the classic versions, especially with the remakes of old tracks. Now, I just need to pick up The Legend of Zelda: Breath Of The Wild and get them into that, though I'm really hoping they bring A Link To The Past to the Switch. 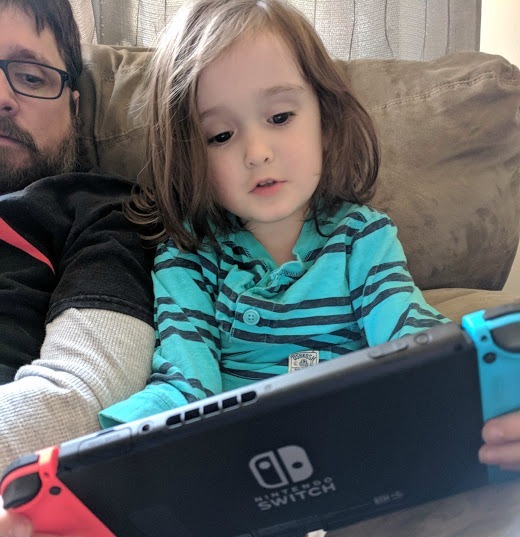 We reached out to several dads within the gaming community and asked them what games from their childhood they enjoy playing with their children. Or, which nostalgic games they look forward to playing once their kids are old enough. “As a child I played Stratego with my brother more than anything else. It was likely the only game we had that included a good amount of strategy. We enjoyed trying to fool each other with the placement of our flags. Because of the significant amount of strategy and tactics, a win felt more satisfying. “The games that I distinctly remember from my childhood are: Monopoly, Checkers, Trouble, The Game of Life, Uno, Battleship, Yahtzee, Pass the Pig, Snakes and Ladders, and Scrabble. While I don’t play any of those games with my kids right now, they have influenced a lot of the games that came after them. A lot of new games are starting to discover old games and are re-implementing the core archetypes. 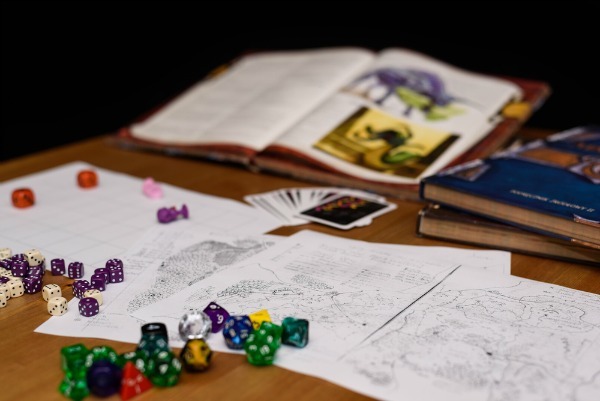 Let us know in the comments what board games or video games you have fond memories of playing as a child. 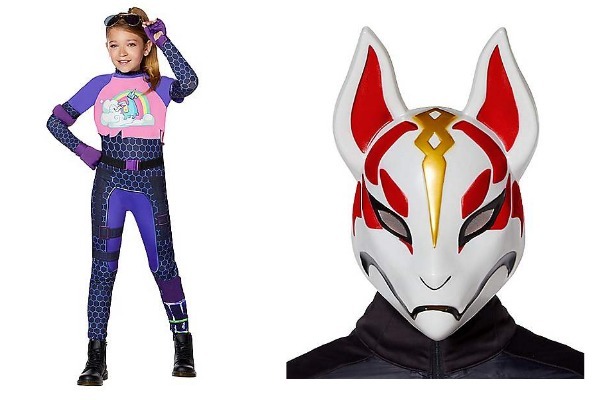 Do you play them with your kids?